Each academic year, CUMS holds a Composition Competition. The winner will be the CUMS Composer in Residence and they will be asked to write a short piece for one of the CUMS ensembles. Details of the 2019 competition are available HERE. We are delighted to announce that Michael Boyle has won our 2018 competition and will be our Composer in Residence for 2018-2019. Michael is a composer from Shropshire, and is currently based in London. He seeks to develop the concept of music as a constantly shifting environment, with a focus on the ability of music to fully capture natural forms thanks to the progress in compositional technique and technology over the past century. Drawn to a variety of composers who demonstrate immense control over their initial creative impulses, he is influenced particularly by innovative structural and harmonic ideas and the exploration of non-sonic phenomena in music. Through study with Richard Causton at Cambridge, and then with Alessandro Solbiati at the Conservatorio del Verdi Milano, he has developed a compositional voice which is clear, dramatic and evocative. Michael read for an MPhil in Music at Gonville & Caius College, graduating in October 2017. His music has been performed in venues ranging from Clare College chapel to the Museo Novecento Firenze, and by ensembles including the Goldfield Ensemble, members of the BCMG, the Ligeti Quartet and GAMO. We are very grateful to Robin Holloway and Richard Causton for judging this year’s competition. William Cole is a composer and conductor from London. Notable recent works include The Bells of Lübeck, featured at the Bournemouth Symphony Orchestra’s 2017 Composers Day, Her Face Was Full of Woe for Royal Harpist Anne Denholm, and Versa Est in Luctum for the Britten Sinfonia. He has also worked with ensembles including Kokoro, CHROMA, Psappha and the BBC Singers. 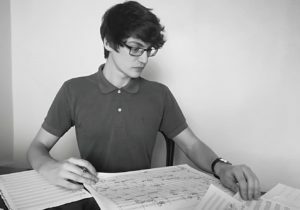 In 2015 he was awarded the Lord Mayor’s Composition Prize, and as Yeoman of the Worshipful Company of Musicians regularly gives composition workshops in London schools. William’s conducting activities focuses on new music and collaborative work. He is Music Director of Filthy Lucre, an immersive mixed-genre night with whom he has worked with artists from dance, film, and performance poetry in music from Scelsi to The Clash. He has also worked with ensembles and companies including Ensemble Linea, Ensemble X.Y., Helios Opera, Opera Lyrica, Pop-Up Opera and Gestalt Arts Collective in a wide range of core and contemporary repertoire, including many world premieres. He studied at Clare College, Cambridge and currently studies at the Royal Academy of Music with Philip Cashian. 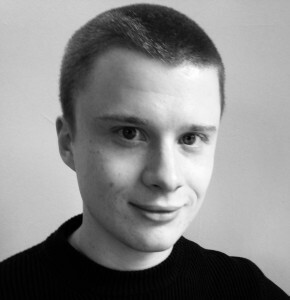 Jonathan Woolgar is a composer. He is particularly interested in music as drama and music for the stage, and his work draws from a wide range of musical experience, aiming to engage every kind of listener. Jonathan has had works performed at the Bridgewater Hall and the Royal Albert Hall by ensembles such as Manchester Camerata, Onyx Brass, Aurora Orchestra and the Helsingborg Symphony Orchestra, as well as broadcast on BBC Radio 3. In 2010 he won the BBC Proms Young Composers’ Competition. 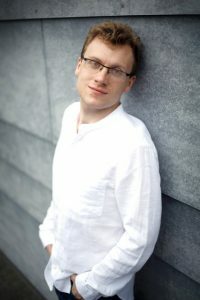 His music has been recorded for commercial release by the choir of Fitzwilliam College, Cambridge, and he also enjoys close associations with contemporary music ensembles The Hermes Experiment and Khymerikal. Jonathan is Composer in Residence at Eton College for 2015-17, and will be Composer in Residence for the Cambridge University Musical Society in 2016-17. His one-woman opera, Scenes from the End, ran in London and Edinburgh this summer, while future projects include performances at St Mark’s Basilica, Venice and St John’s Smith Square. Whilst currently based near London, Jonathan originally hails from Pontefract in West Yorkshire. He attended Chetham’s School of Music, Manchester from 2008-10, studying composition and conducting with Jeremy Pike and Gavin Wayte. From 2010-13 he read music at Fitzwilliam College, Cambridge where he graduated with First Class Honours and studied composition with Giles Swayne, going on to study with David Sawer at the Royal Academy of Music. Read an interview with Jonathan on the CUMS Blog. Joy completed her BA and MPhil degrees in Music and Composition at Clare College, Cambridge, graduating in 2015. Her first string quartet was premiered by the Arditti Quartet and she won the Ralph Vaughan Williams Prize in 2014. In 2015, she won the Sir Arthur Bliss Prize for her M.Phil at Cambridge and from 2016 she will be completing her PhD at King’s College, Cambridge. She is supported by the AHRC and will be an Honorary King’s College Vice-Chancellor’s Scholar for the duration. She will also be Composer in Residence at Cambridge University Music Society for 2016-17. 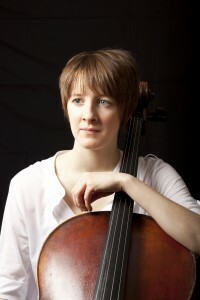 Joy is also active as a cellist and has performed as soloist with artists including Dame Emma Kirkby, Alexander Baillie, Howard Williams and the Wihan Quartet and given recitals in venues such as the Amsterdam Concertgebouw, Queen’s Hall Edinburgh and the Southbank. In 2017 she has been selected to open the Park Lane Group Recital Series at St. John’s Smith Square, for which she will perform a solo recital including two premieres, one of which will be her own composition specially commissioned for the occasion. This coming season also includes return engagements at Cheltenham Pump Room, St George’s Bristol, West Road Concert Hall and the Leipzig Gewandhus, performances of Prokofiev’s Sinfonia Concertante and the Brahms Double Concerto as well as a Schubert Quintet tour with the Allegri Quartet. Read an interview with Joy on the CUMS Blog.